Today 1 pm pst don’t miss this show! My guest today Brooke Lewis is a Emmy nominated actress, model, producer, life coach and dating expert. She will forever be missed! My condolences to her friends, fans and family! Florence Henderson, who became the ultimate TV mom when she took on the role of Carol Brady in ’70s sitcom “The Brady Bunch,” has died, her reps revealed. She was 82. Henderson died Thursday night at Cedars-Sinai Medical Center in Los Angeles, after she was hospitalized the day before, said her publicist, David Brokaw. Henderson suffered heart failure, her manager Kayla Pressman said in a statement. Family and friends had surrounded Henderson’s hospital bedside, Pressman said. On the surface, “The Brady Bunch” resembled just another innocuous TV sitcom about a family living in suburban America and getting into a different wacky situation each week. But well after it ended its initial run, in 1974, the show resonated with audiences, and it returned to television in various forms again and again, including “The Brady Bunch Hour” in 1977, “The Brady Brides” in 1981 and “The Bradys” in 1990. It was also seen endlessly in reruns. “It represents what people always wanted: a loving family. It’s such a gentle, innocent, sweet show, and I guess it proved there’s always an audience for that,” Henderson said in 1999. Premiering in 1969, it also was among the first shows to introduce to television the blended family. 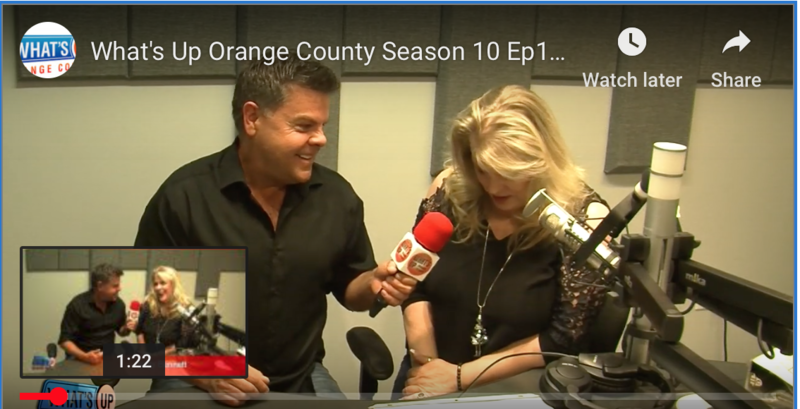 As its theme song reminded viewers each week, Henderson’s Carol was a single mother raising three daughters when she met her TV husband, Robert Reed’s Mike Brady, a single father who was raising three boys. The eight of them became “The Brady Bunch,” with a quirky housekeeper, played by Ann B. Davis, thrown into the mix. The blonde, ever-smiling Henderson was a known Broadway star when the show began, having originated the title role in the musical “Fanny.” But after “The Brady Bunch,” she would always be known to fans as Carol Brady. “We had to have security guards with us. Fans were hanging on our doors. We couldn’t go out by ourselves. We were like the Beatles!” she said of the attention the show brought the cast. Like the Beatles, there was even a Saturday morning cartoon version called “Brady Kids,” although Henderson was not in that show. She and Reed did return, however, for “The Brady Bunch Hour, “The Brady Brides” and “The Bradys.” So did most of the original cast. She was also back again in 1995 when a new cast was assembled for “The Brady Bunch Movie,” a playful spoof of the original show. This time she was Grandma Brady opposite Shelly Long’s Carol. Numerous memoirs also kept interest in the show alive, as cast members revealed they were more than just siblings off camera. Barry Williams, who played eldest son Greg Brady, would confess to having a crush on his TV stepmom. Henderson, in her own book, denied having any relationship with Williams. Williams, 62, acknowledged Henderson’s death on Twitter early Friday. Richard Rodgers and Oscar Hammerstein II were so impressed they made her the female lead in a 1952 road tour of “Oklahoma!” When the show returned to Broadway for a revival in 1954, she continued in the role and won rave reviews. To broaden her career, Henderson took acting, dancing, singing and guitar lessons, even studying French and Italian. She went on to play Maria in a road production of “The Sound of Music,” was Nellie Forbush in a revival of “South Pacific” and was back on Broadway with Jose Ferrer in “The Girl Who Came to Supper” in 1963. She made her movie debut in 1970 in “Song of Norway,” based on the 1944 operetta with music by Norwegian composer Edvard Grieg. Her career nearly came to an end in 1965 when she suddenly lost her hearing while appearing in “The King and I” in Los Angeles. She was diagnosed with a hereditary condition called osteosclerosis. “Corrective surgery in both ears restored my hearing,” she said in 2007. As her TV career blossomed with “The Brady Bunch,” Henderson also began to make frequent TV guest appearances. She was the first woman to host “The Tonight Show” for the vacationing Johnny Carson. Florence Agnes Henderson was born Feb. 14, 1934, in the small town of Dale in southern Indiana. She was the 10th child of a tobacco sharecropper of Irish descent. After high school she moved to New York, where she enrolled in a two-year program at the American Academy of Dramatic Arts, her studies financed by a theatrical couple who had been impressed by her singing when they saw her perform in high school. Henderson married theater executive Ira Bernstein and the couple had four children before the union ended in divorce after 29 years. Her second husband, John Kappas, died in 2002. Earlier this month, Henderson revealed to Fox News Magazine that she had younger suitors sending her messages. “On my website… I get a lot of interesting emails from younger men going, ‘We think you’re hot!’ and ‘I’d love to take you out,’ which is very sweet,” Henderson said. She is survived by her children; Barbara, Joseph, Robert and Lizzie, their respective spouses, and five grandchildren. Khloé Kardashian and Lamar Odom are giving their marriage another go. E! News confirms the 31-year-old Keeping Up With the Kardashians star and the 35-year-old former NBA player are calling off their divorce. The two both signed divorce papers in July but, due to a file backlog, the judge had yet to sign off, so the pair are still legally married. Khloé’s attorney Laura Wasser went into court this morning and asked the judge to withdraw the divorce petition that was awaiting a judge’s signature. The judge granted the petition and the divorce case is now over. The news comes just over one week after the E! star rushed to her husband’s sideat Sunrise Hospital in Las Vegas after he was found unconscious in a Nevada brothel on Oct. 13. Odom suffered a drug overdose and has since come out of a coma. Currently, he appears to be recovering; however, he will need “a lot” of rehab in the coming months and is being treated for aspiration pneumonia. On Monday, Odom was discharged from the Las Vegas facility and transported to Los Angeles. Khloé was photographed exiting Sunrise hospital and she remains by her husband’s side as he continues ongoing treatment. On Tuesday, a source also told E! News that there are no immediate plans for Odom to be discharged from the hospital in Los Angeles. However, we’re told his health is improving. Khloé and Lamar wed in 2009 following a whirlwind engagement. Their divorce was chronicled on Keeping Up With the Kardashians, as well as the spin-off Kourtney & Khloé Take the Hamptons. For more details on Lamar’s condition and how Khloé is helping him recover, be sure to tune into E! News at 7 p.m. and 11 p.m., only on E! Wow the things these public figures have to go through! Kylie Jenner was the victim of a nasty attack Friday night after one fan pulled her hair, snapping her head back. Jenner was leaving the Chris Brown concert in Anaheim when the incident took place — you can tell by the look on Kylie’s face, it was painful. Luckily her security stepped in quickly and Kylie continued on her way. Hair-pull aside, Kylie had an awesome time watching her bf Tyga perform with CB. There goes the neighborhood! Calling all kids time to advert your eyes once again! Miley Cyrus made a big announcement today! The superstar had both good news and bad news. The bad news? She sadly will NOT be performing at this year’s MTVVideo Music Awards. Boooooo. Luckily for us, the good news TOTALLY outweighs the bad. Our girl Miley will be hosting the exciting evening! We can’t really say we’re surprised! The past two years, the pop princess has been all the buzz at the awards show. In 2013, she infamously grinded up on Robin Thicke, and did some pretty provocative things with a foam finger. And last year, she spectacularly gave up her speech for Video of the Year so her date, Jesse, could raise awareness for homeless youth. Now, we cannot wait for the 22-year-old to take the stage on August 30 for the whole night, rather than only a 3-minute-long performance! 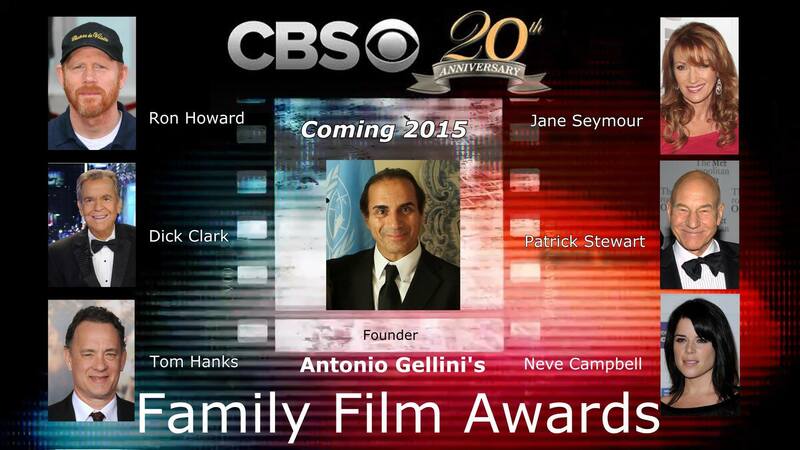 The Family Film Award seeks to honor excellence in family oriented film making. These awards are presented to “G” and “PG” rated feature films and family oriented television series and movies. A panel of industry leaders, celebrities, film critics and television critics vote for their top three choices in fifteen different categories. Those top choices as well as the winner of each category are broadcast on television during the Family Film Awards presentation. The Olympia Award is a man and woman standing back-to-back on a globe. Beneath the globe are seven steps, each step representing a different art form: writing, music, sculpture, painting, dancing, theater and film. The Olympia Film Award is the first competition to determine the best film from all major film festivals across the world. Just as athletes representing each country compete in the Olympics to determine the best athlete in the world, films representing each film festival will compete to determine the best film in the world. The be eligible for the award, a film must first win at one of the international film festivals including the Cario International Film Festival, Tokyo International Film Festival, Cannes Film Festival, and many more (250 festivals in all but to see an abbreviated list CLICK HERE). Then, a panel of industry leaders, celebrities, and film critics vote for their top three choices in fifteen different categories. 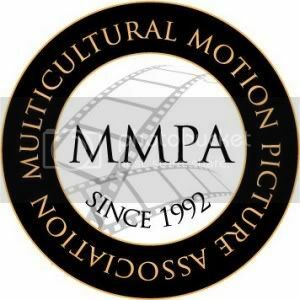 The World Film Institute (WFI), a nonprofit organization which promotes racial, gender and ethnic equality, was established to advance the motion picture industry worldwide and recognize excellence. Click Here to see the membership categories. 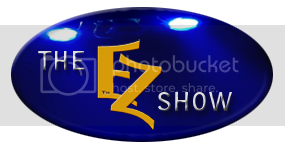 EZ WAY BROADCASTING is proud to announce that Eric Zuley and Antonio Gellini will be working together for the greater good! Please Share, Like and Tweet out this post! We love to hear your comments and feedback. Join The Hollywood The EZ Way Group Free! How would you like to be able to promote your projects for free and meet influential people that can help you? My baby girl @drdantesears modeling for #KOOLBOX created by @koolboyhoodboticpuppets Are you Kool enough? This is a unique creation combining a car system into a wireless boombox all controlled by your phone. The sound quality is amazing! Eric Zuley The party's about to start let's meet everyone! Eric Zuley YouTube Partnered Channel is back!